Upcoming SRLP New Member Orientation on August 11th! Meet Natalia Shevin, SRLP Summer Intern! SRLP’s Avi Cummings presenting at Money for Our Movements Conference! Meet Serena Valentino, SRLP Summer Intern! 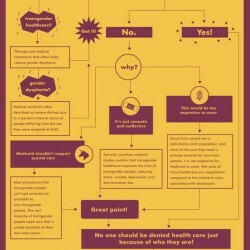 NEW: Trans Healthcare Infographic from SRLP and GLAAD! Photos & History: SRLP From 2002 to Today! PHOTOS: SRLP at Bushwick Pride! PHOTOS: SRLP’s Annual Sign Making Party!